No soil necessary. It’s the hallmark of hydroponic gardening, plants held in place while their roots dangle in nourishing water. IKEA is using is mass marketing capabilities to bring this, newly miniaturized, technology to the masses. It is with the idea that it should be affordable to grow your own food. An aspiring gardener can suit up and get to it, even in a high-rise apartment building, for around $50. The system is a basic grow tray with small pods to put your seeds in. Once seeded, keep an eye on the water level and make sure they get enough light. You’ll have veggies soon. 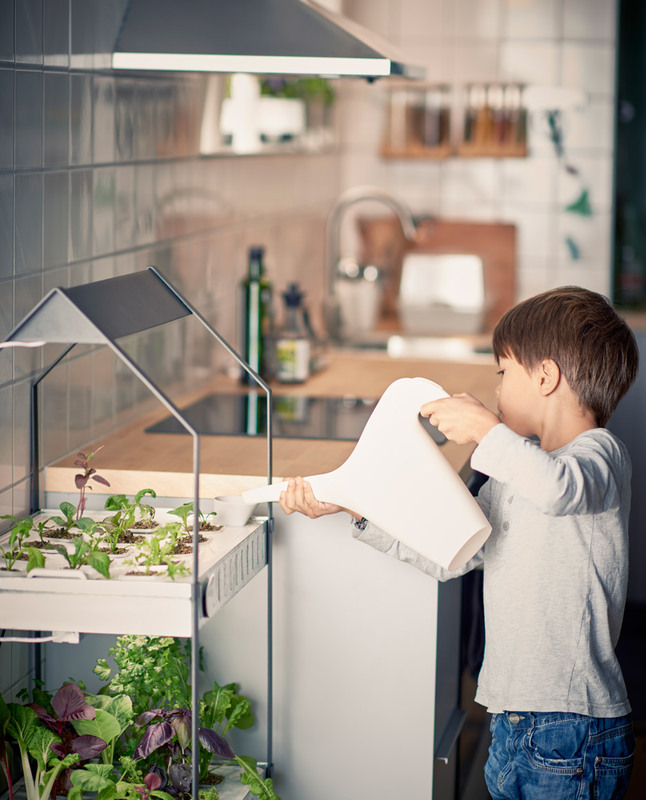 Vertically farming vegetables and living in the city just got synergistic on the cheap.